An employee-owned chemical distributor was leaking away its spending—and profits—on indirect operating expenses. 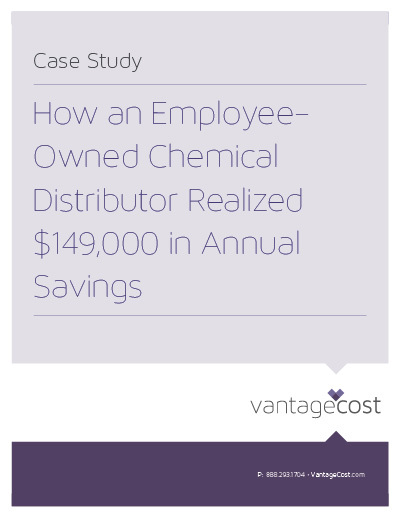 Vantage helped them realize $149,000 in annual savings—while addressing safety issues. • Identified 6 areas of opportunity. • Reduced 6 suppliers to 1 for 37% savings. • Addressed safety and set new standards. To read about how Vantage achieved these, and many other incredible cost savings, complete the form to the right to download the FREE case study. 5975 Castle Creek Parkway North Dr.